I was dismayed to discover that Australia’s Minister for Social Services is turning to New Zealand for inspiration in his latest approach to welfare. On September 20 Christian Porter announced the ‘Australian Priority Investment Approach’. This draws on work New Zealand’s right-wing National government has done since 2011 on using actuarial estimates of fiscal liability to underpin an extensive program of punitive and pauperising reforms. On September 20, days after the passage of the “omnibus” legislation that enabled the implementation of the federal budget, Minister for Social Services Christian Porter released the Baseline Valuation Report by PricewaterhouseCoopers (PwC), as part of the federal government’s “Priority Investment Approach”. In what amounted to a financial audit of the welfare system, the report focused on the costs to the welfare system over a prolonged period of three categories of recipients: young carers, young parents and students. 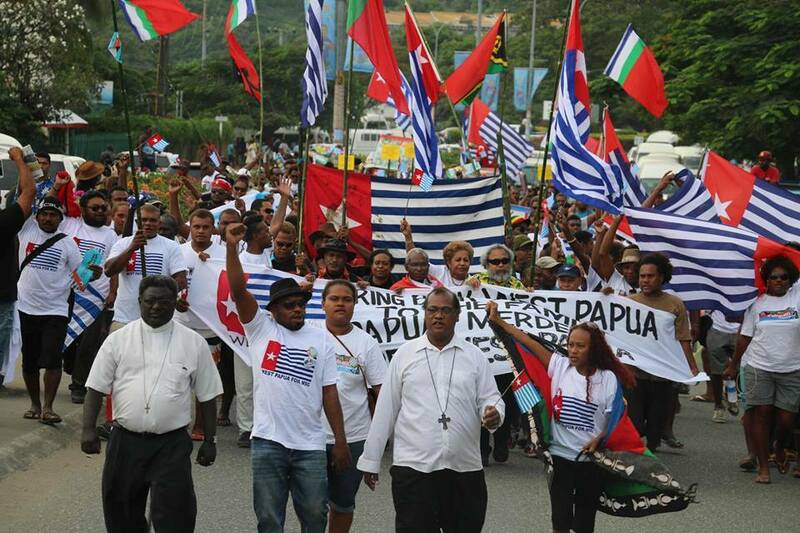 Protesters occupy Australian Consulate, Auckland, November 11. I was glad to be part of the November 11 protests, organised by the trade union Unite and by Global Peace and Justice Auckland, at the Australian Consulate in Auckland over their government's policies that have led to the indefinite detention of asylum seekers and Australian residents born in New Zealand in what are in effect concentration camps. 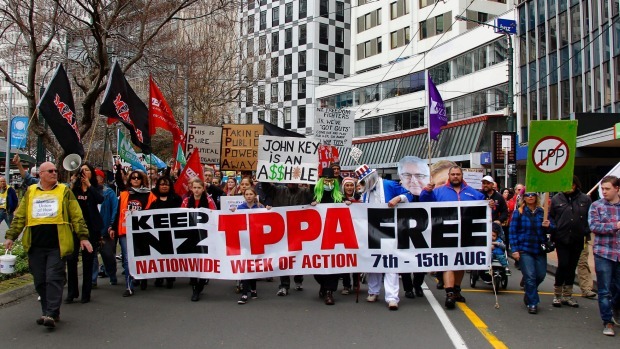 There were huge protests against the Trans-Pacific Partnership held across New Zealand on August 15. 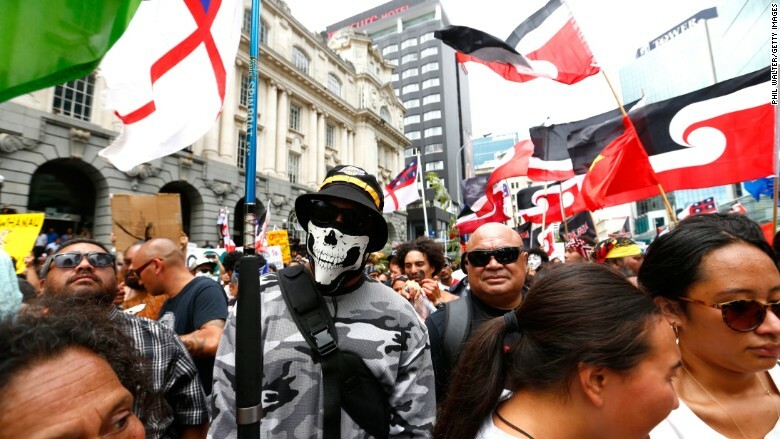 About 10,000 protesters marched in Auckland, 5000 in Wellington, 4000 in Christchurch and thousands more in other parts of the country.